The Warriors have become an inspiration to fans all over the world for their championship play on the court, but it's the community around the team that inspired the co-founder of Nextdoor. Her 2-year-old daughter Gisele was born premature to a mother who used drugs and struggled with health issues. "It was the worst thing I've ever seen in my life." A neighbor is describing the horrific scene she encountered as three dogs attacked a Vallejo woman and her child. Bay Area rapper E-40 celebrated his new tequila line with a packed event in Oakland Thursday. A meeting at the Delancey Street Foundation is being held about a now very controversial proposed Navigation Center. The Mountain View City Council voted to approve the demolition of dozens of units, to make way for million dollar townhouses. Santa Clara County Supervisor Dave Cortese has a new proposal for dealing with illegal immigrants. The proposal calls more communication with ICE before the release of violent felons. Thursday ABC7 News interviewed a special guest, Chief Digital Evangelist of Salesforce.com, Vala Afshar. 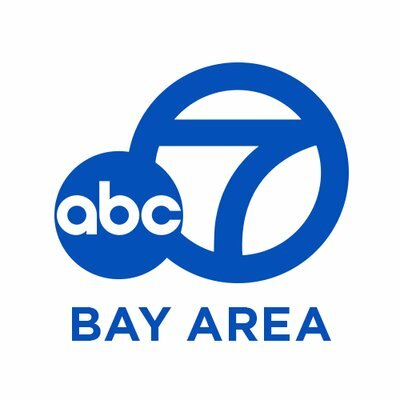 ABC7 News is committed to building a better Bay Area. It means we look at the big issues and what's being done about them. High housing costs, particularly in Silicon Valley, is a big problem for many people who can't afford to live where they work. Police are considering a possible terrorist motive after a deadly shooting on a tram in a residential area of the central Dutch city of Utrecht, according to authorities. Presidential hopeful Andrew Yang appeared on a stage in Mission Bay Friday evening in front of a crowd clapping and chanting. At least 49 people were killed in a mass shooting at two mosques in the New Zealand city of Christchurch on Friday, Police Commissioner Mike Bush said. Stanford's longtime sailing coach has been fired after he was charged, along with several Bay Area residents, in the largest college admissions cheating scam ever prosecuted in the United States. Prosecutors charged 50 people, including actresses Lori Loughlin and Felicity Huffman, in the largest college admissions scam ever prosecuted in the U.S.
For 35 years, Alex Trebek has been at the helm of Jeopardy, hosting a record 8,000 episodes. On Wednesday, the television host announced that he is battling stage 4 pancreatic cancer. President Donald Trump's former lawyer Michael Cohen has filed a lawsuit claiming the Trump Organization failed to pay nearly $2 million toward his legal defense. "It's confusing because when you look at her, she looks like this totally normal kid. And she's doing all these totally normal things. You don't look at her and think that she has a life-threatening disease."